As the leading company in epoxy floor installation in the Tallahassee area, our contractors are the best you will see. With decades of combined experience, our licensed contractors can make any installation come to life. Epoxy floors, when done by a professional, are some of the most beautiful, strong, and durable systems you can buy. If you’re looking for a custom floor, that can withstand all you have to throw on it, then give us a call. Contact us for more information about Epoxy and our services! An epoxy flooring system is based on a combination of resins and hardeners when joined together, the mixture then chemically reacts with your concrete creating a strong and durable surface. Once the mixture has cured completely with your concrete, your floors will become virtually indestructible. Epoxy floors are incredibly resilient and resistant to just about everything you can think of. Hospitals and professional kitchens have utilized these floors for their amazing anti-microbial qualities and their easy maintenance. Along with hotels who install epoxy floors for their beautifully distinct qualities and industrial plants that have enjoyed these floors resistant to wear and tear from chemicals or machinery. Retail and shopping centers have also installed epoxy flooring systems because of the floors ability to withstand high foot-traffic areas without damaging. If you’re looking for a floor that is stronger than concrete, then epoxy is what you need today. Give us a call for a free quote today! Whether you’re looking for a commercial epoxy, industrial epoxy, or residential epoxy, we have you covered. Our professional and licensed contractors are ready to help you with any flooring designs you may be envisioning, and our team wants to make those visions come to life. No project is too big or too small. Epoxy flooring, for homeowners, is one of the hottest new trends because of the strong and beautiful qualities epoxy offers. 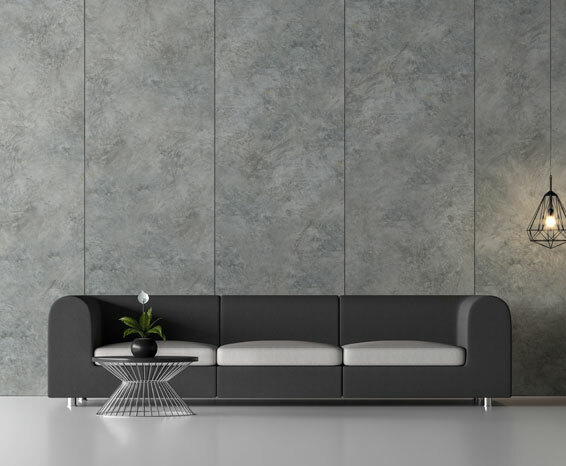 Concrete floors as home décor no longer check the box because of how vulnerable your floors are to constant damage by simple daily use. Epoxy floors give homeowners the opportunity to raise their home value for very little cost due to the fact that epoxy is incredibly affordable. 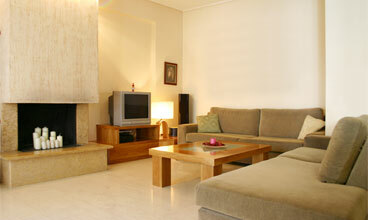 Homeowners are also very attracted to the fact that epoxy floors are the easiest to maintain and even easier to clean. Whether your epoxy floor is to renew your basement from scary and dark to bright and brilliant or to turn your garage into a man cave, we have you covered. 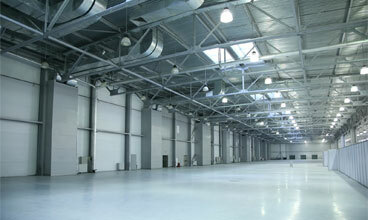 Industrial epoxy floors are most commonly used for their durability and strength. Whether the industrial setting endures constant heavy machinery, chemical spills, or extreme temperature changes, an epoxy floor can handle it all. The seamless surface an epoxy floor creates is spectacular for industrial areas who handle heavy machinery and vehicles because it reduces the amount of wear and tears on the machinery. Not only do you save money on the installation of your professionally done floors, but you save money by minimizing machinery replacement. 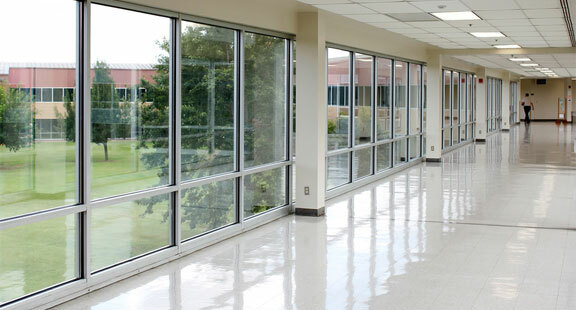 In a commercial area, you want your floors to be shatter and impact-resistant, and durable for high foot-traffic. With an epoxy floor, constant replacement because of damaging, stains, and breakage is eliminated. A commercial epoxy floor is much safer than any other flooring system you could install because of its ability to be made slip-resistant, fire managing, and the glass-like finish reflects light much better, creating an overall safer environment. Whether you’re looking for a unique eye-catching floor for a residential floor, a commercial floor, or an industrial floor, metallic epoxy is the way to go. With incredible design features and options metallic epoxy floors, when professionally installed, have the ability to create 3D floors that can generate an illusion of clouds, lava, snow, and so much more. Metallic epoxy floors can never be replicated, therefore, once you have yours installed you will be the only person to ever have that floor! An industrial garage epoxy or a residential garage epoxy, both benefit from the qualities offered by an epoxy floor. Due to the fact that your epoxy floor is resistant to chemical damage, to staining, to oil, and to cracking and peeling. Epoxy garage floors are smooth and easy to maintain, when your vehicle and machinery have seam-less surface they last much longer. Epoxy garage flooring is an easy and affordable investment in a floor that will last decades. Rubber floor coatings are also becoming an incredibly popular option for garages who need an extra layer of protection. These floors are highly resistant to impact and can be installed in different patterns and colors. Highly resistant and easy-to-clean this flooring option is becoming one of the hottest trends for homeowners who want to enhance their garages. We offer options for resurfacing your pool, driveway, patio, walkway, and more. For more information on our concrete resurfacing services, give us a call. When you choose to resurface any concrete you have, you are choosing to extend the lifespan of the current concrete you own. Returning your current concrete to its former glory, before the years of use, sun, and degradation took over, means our contractors will use fewer materials, thus creating less waste and being an amazing eco-friendly option. If you’re looking for an easy way to add value to your property, then here it is! When you have your concrete resurfaced the materials used, although high-end, they are low in price. You are paying very little while attracting high paying interested buyers. Installation is short and sweet, so if you have any additional questions, let one of our professionals help! Our team offers many distinctive options that will suit any or all of your needs. Wood stamped epoxy flooring is an extremely popular option for individuals who want the luxury of a wood floor but don’t want the strict regime required to keep them updated. Wood stamped concrete is much less hassle, work, and maintenance than a real wood floor. Epoxy floors will always and forever outlast any wood floor you could want to install. Epoxy wood floors can mimic any type of wood you’re looking to install in your home or business. Choosing concrete wood over real wood reduces your environmental footprint, thus, one step towards helping the planet. Wood stamped concrete epoxy is much more affordable than a wood floor. Not only to install but in the long run as well because of the little amount of maintenance required. Epoxy flooring systems can be made to be much shinier than other wood floors. Our team installs these floors quickly, easily, and efficiently. Wood stamped floors will not dull under high use. High-end epoxy floors last 20 or more years without constant repairs or replacements. High shine and glass-like aesthetics conceal the safe qualities epoxy floors can be installed with. The unique elegance that reflects your style and personality through color, texture, and patterns cannot be done with other flooring systems. Abrasion resistance, chemical resistant, and bacterial resistant qualities all belong to epoxy flooring. Epoxy concrete floors can be installed in hospitals, cafeterias, libraries, lobbies, shops, hotels, gyms, and so many more areas.